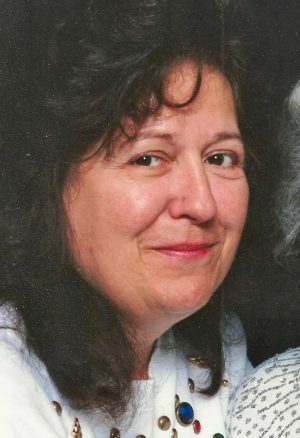 HANNIBAL, NY – Barbara M. LaBeef Seymour, 71, of Sterling passed away on Thursday October 11, 2018, at home. A Sterling native, she was born to the late William and Julia LaBeef. She enjoyed traveling with her late husband, Robert, around the U.S and they enjoyed going to Florida in the winter. Barbara also liked to watch movies, read, crochet and play the slots. She had worked and retired from Alcan Aluminum after more than 20 years of service. In addition to her parents and husband, she was predeceased by her brother, Michael LaBeef; sister, Sharon France; step-son, Darren Seymour; and son-in-law, Thomas J. Simmons. Barbara is survived by her five children, James (Roz) Corbett Jr., Kathleen Corbett, Shelly (Ray Deveney) Benedict, Bobby-Jo (Chad) Mendenhall and Misty Simmons; step-children, Roxanne (Tipper) Vann, Donna (Vic) Ruiz, Danny (Lisa) Seymour, Judy Seymour, Jeffrey (Chris) Seymour and Shawn Seymour; siblings, Danny (Katherine) LaBeef, Richard (Jessie) LaBeef, Robert (Kathy) LaBeef and Yvonne Palmer; several grandchildren; great-grandchildren; nieces and nephews. Calling hours will be held 4 to 7 p.m., Monday, October 15, at Foster Funeral Home, 837 Cayuga St., Hannibal. A service will be 10 a.m., Tuesday, October 16, at the funeral home, with burial in Springbrook Cemetery, Sterling. In lieu of flowers, donations are encouraged to the National Breast Cancer Foundation, 2600 Network Blvd, Suite 300, Frisco, Texas 75034. Our heartfelt condolences to Barb’s family. May she rest in peace and be an angel watching over you all.